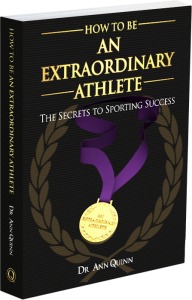 I have been fortunate to have coached so many incredible people over the last 25 years from the sporting and business fields and people often ask me to reflect back on what has been a key factor in their success. There are certainly many factors but one vital distinction is their FOCUS. They are totally committed to achieving their outcome, whether it be winning Wimbledon, a Gold Medal, achieving extraordinary success in their companies, or simply winning the game of life. What are you totally committed to achieving? We can all achieve extraordinary feats, if we really focus. It’s not what’s happening to you right now or what has happened in your past that determines who you become. Rather, it’s your decisions about what to FOCUS on, what things mean to you, and what you’re going to do about them that will determine your ultimate destiny.